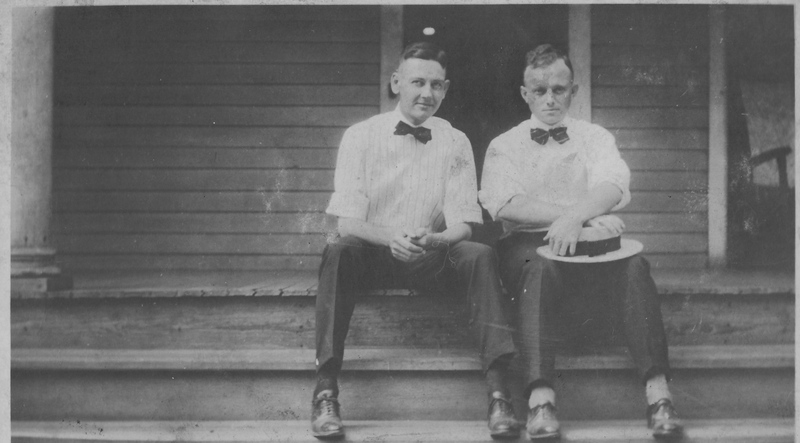 And another happy birthday to my grandfather, Howard Evans, who would be 120 years old today. In that picture above, he’s about 26 and climbing the corporate ladder with Proctor & Gamble’s Buckeye Cottonseed Oil industry. Within 2 years, he would be running one of their largest mills, just west of the Greenwood city limits, and that excellent job would allow him to make Jessie Evans’ dream come true. 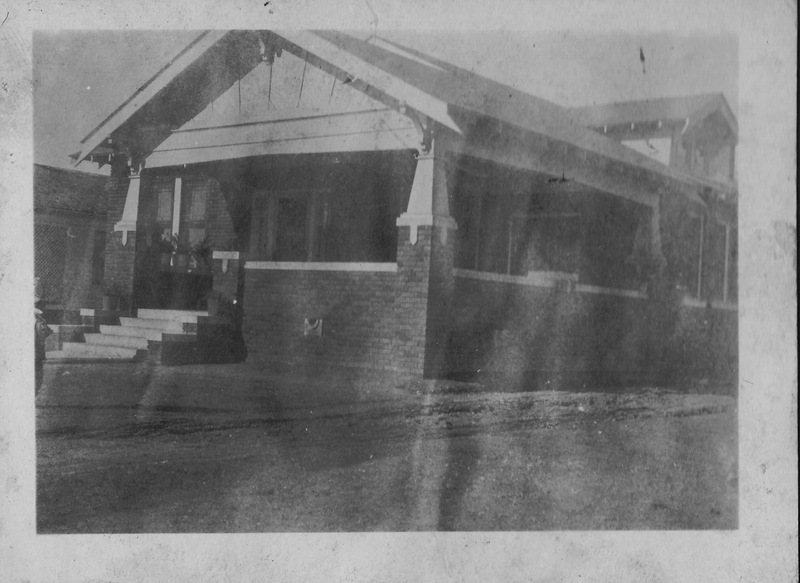 The Evanses and their three little girls moved into 1212 Strong Avenue in 1922. This cozy, comfortable house was the first home my mother, Sara, actually remembered, and she cherished her seven years there all her life. In 1929, Howard’s ambitions took the family off to Jackson and the beloved bungalow was sold. 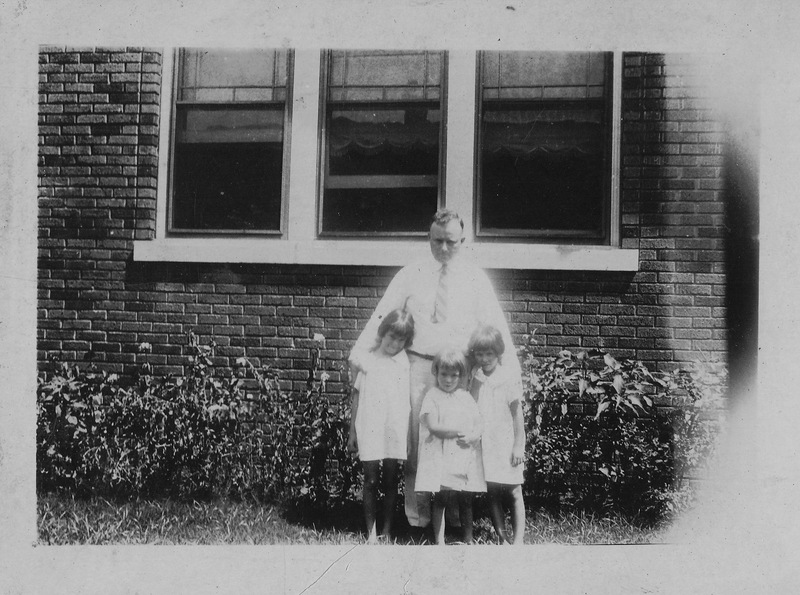 When Jessie and her five children returned to Greenwood in 1932, Howard was dead, and at least part of the family would share space with the Stott clan on East Washington for the next 28 years. The brick bungalow would be one of only two houses Jessie ever owned. 1212 Strong Avenue passed through many families and housed Greenwood Leflore Hospital administrators for quite a number of years. Its last role was as the WIC distribution center, but even that purpose dried up about ten years ago. All the time since, it has sat forlorn and empty, all but forgotten and quietly sagging in on itself. I got to where I avoided driving Sara down Strong Avenue, because she would look for the house, comment on its deterioration and the happy years she knew there, and then get very, very quiet. 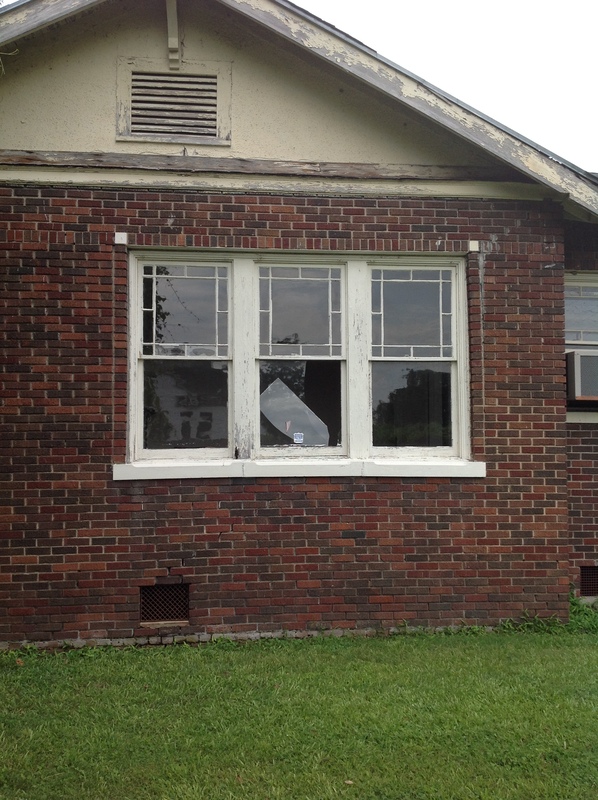 The same west windows, 89 years later (2014). As I mentioned last year on this blog, there’s a little glimmer of hope for the bungalow and plans are picking up speed. I hope to have good news, very soon. Happy birthday, once again, Granddaddy. We’re looking out for your house. Oh my, the fabulous murals in the Old Library. This is the first time I have seen them since my childhood, which as a youngster I used to gaze upon and wonder. Thank you so very much for posting this heart-felt account of a Greenwood family to whom we owe such a huge debt of gratitude. To this day, I think my love of reading originated in that library. Those murals were special, weren’t they? I’m so glad they’re safe and restored; just have to figure out where they should go! Suggestions always welcome. A quiet and meditative place–the closest I can think of would be the Museum of the Mississippi Delta, formerly Cottonlandia. With its historical context, I think the murals would blend in perfectly there. It is one place I visit regularly from California.